Where a three-time major champion never gets the opportunity to captain Europe’s Ryder Cup team, Padraig Harrington will have to surely look back and regret the fateful interview he gave last week to Irish Radio. 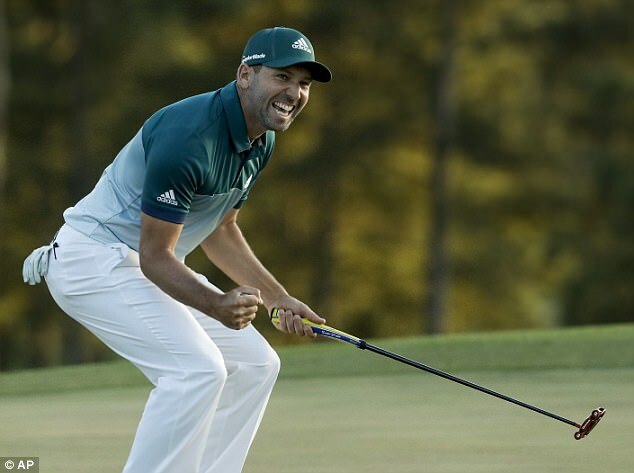 In the week where Sergio Garcia came off victorious in his Masters event, Harrington probably felt it was the right time to open up old wounds thus revealing candid thoughts about the person of Garcia. Tiger Woods, who is probably seen as one who dislikes Garcia the most even tweeted his congrats to Garcia on his victory. Unfortunately, there remained Harrington’s discordant voice, a man who preferred to remind the world of the times when Garcia had let down the sport and himself as well. The Open in 2007 and the US PGA Championship in 2008 had the duo battle down the stretch only for Harrington to come off tops. However, Garcia didn’t take his defeat lightly. “I’m very strong on etiquette, so I don’t tolerate people spitting in the hole, throwing their shoes, or throwing golf clubs,” said Harrington, as he continued on, detailing some of Garcia’s past indiscretions. The 45-year-oldalso talked about how they met once again in the Majors and Garcia lost to him again and what happened after that. He also noted that after that, it wasn’t all rosy again as it became hard for them to exchange pleasantries. For 2020 and 2022, Harrington remains a leading contender for the captaincy title of Ryder Cup although it is certain that Lee Westwood may emerge captain in either year. However, this interview may come back to haunt him. This article was posted in Lee Westwood and tagged Bunker, Championship, Golf, Golfer, Swing, Westwood. Bookmark the permalink. Follow comments with the RSS feed for this post. Both comments and trackbacks are closed.